﻿ Optical module temperature is too high or too low have any effect? First, how much light module temperature normal? As the XFP module models and brands, optical module temperature levels corresponding to the different temperature range and the supplier defined the temperature range is different, so the optical module temperature is abnormal according to consider these factors. It is recommended that you view the brand or supplier's definition of the temperature range of the optical module before using the optical module in order to reduce the series of problems caused by the abnormal temperature of the optical module. In addition, the temperature of the optical module has three levels of commercial grade temperature, extended temperature, and industrial temperature. Second, the optical module temperature is too high or too low What are the reasons? If you use the quality and work more rough optical module, then the optical module temperature anomalies are more common, because the performance of such optical modules is unstable, cooling is also relatively poor. In order to reduce the temperature anomalies and unnecessary losses, it is recommended that you use good performance, quality and workmanship are better optical modules. The working environment of the optical module is in the data center, the engine room or the switch, if the optical module is applied in other environment, then the change of the ambient temperature will change the temperature of the optical module, thus affecting its optical power and light sensitivity. If the use of the optical module environment is relatively poor, it is recommended to choose with industrial temperature or extension temperature of the optical module. The temperature range of the new optical module is usually 0-70 ℃, and many second-hand optical module can not be achieved, so the temperature is too high or too low environment, second-hand optical module can not work properly. Therefore, we recommend that you use the new optical module. Third, the optical module temperature is too high or too low What is the impact? Optical module temperature is too high or too low will affect the function of the optical module, making the communication data error, because the temperature of the optical module is not within the normal range will alarm, indicating that the optical module is in bad condition, the switch will stop sending data, Until the optical module returns to normal operating conditions to re-send / receive data. If the optical module's operating temperature is too high, the optical power of the optical module will become larger, the received signal will be error, or even burn the optical module, resulting in optical module can not work, this time should increase the DDM function, The use of temperature control system for real-time monitoring and compensation to ensure that the optical module extinction ratio and luminous power stability, to ensure that the optical communication system to work properly. In general, as long as the optical module is not exposed to zero degrees below zero in the harsh environment, the temperature will not be too low, it is recommended not to use the temperature is too low light module, because it will lead to optical module performance is not stable. Fourth, how to check the temperature of the optical module? Learn to see the temperature of the optical module can reduce the optical module due to the temperature is too high or too low and abnormal. For how to check the temperature of the optical module, we can look at Xiaobian before writing "Huawei switches how to view the port status and optical module information," this article, which details the use of the switch to see the optical module information (including optical module temperature ) Specific methods and orders. At present, there are many optical module suppliers may be on the optical module temperature range of inconsistencies, Fiberland integrated industry standards, and finally defined such a relatively wide coverage of the temperature, hoping to help to your reference. In order to fully meet the customer's demand for optical module temperature, Fiberland introduced the optical module temperature customization service. 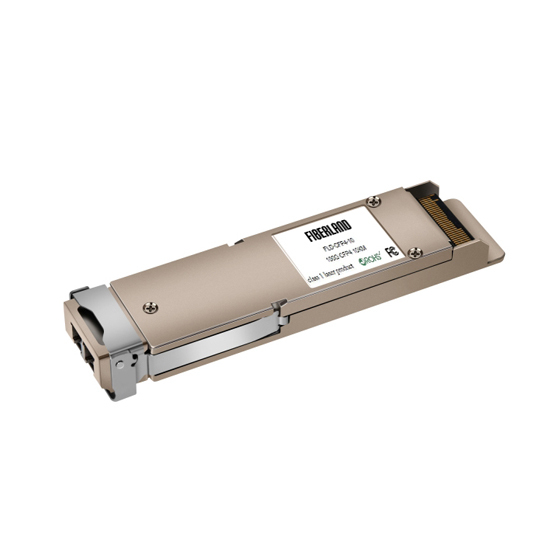 For the explosion of the optical module, customized with commercial-grade temperature or extended temperature of the same price, if the higher requirements of the optical module, it is recommended to customize the industrial-grade temperature of the optical module, but the price will be relatively slightly higher The.